A growing city and a growing caseload necessitated construction of a new justice center for Bucks County, Pennsylvania. When the existing courthouse was constructed, Bucks County had 310,000 residents and four judges. Today, there are 625,000 residents,13 judges, and the number of criminal cases has grown more than 18 percent. With its $86-million price tag, the new building represents the largest capital project in county history. The six story, 285,000-square-foot center houses over 500 employees, a dozen departments and serves thousands of Bucks residents and businesses. 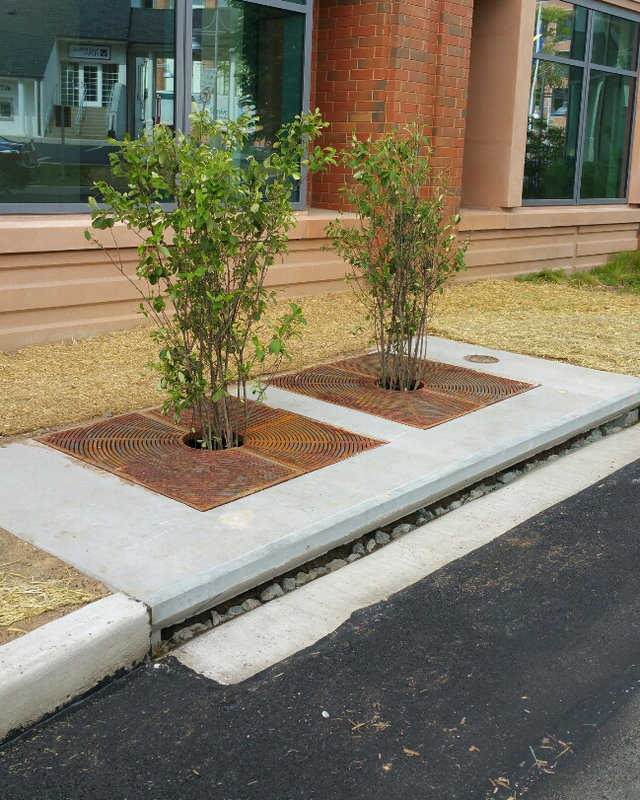 Two factors led the engineers to select the Filterra bioretention system to treat stormwater at the site: pollutant removal capabilities and aesthetics. Multiple third-party field tests confirmed Filterra meets regulatory requirements for pollutant removal under TAPE, TARP, and NJCAT testing. The inclusion of plants and fauna not only contribute to the pollutant removal capabilities of the system, but they also enhance the aesthetics of the site, making it more attractive. There were some existing vaults present on the site that the contractor and engineer hoped to retrofit to become Filterra systems. Some of the vaults were able to be easily retrofitted, but some did not meet the Filterra system specifications. Because the timeline was tight to meet NPDES requirements and closeout the project, Contech worked with the engineer and contractor to quickly retrofit the existing infrastructure to meet the Filterra specification and supply properly constructed Filterra systems for the remaining locations. The newly manufactured Filterra systems were delivered, installed, and backfilled by the contractor in one day. The vault retrofits as well as activation for all of the units, which includes the installation of the media and plants, was also completed in one day. Contech-certified providers performed the retrofits and activations to ensure effective performance. Contech’s flexibility in working with the customer on the retrofits allowed the site to be completed in a timely manner and avoided costly delays in meeting permit requirements.